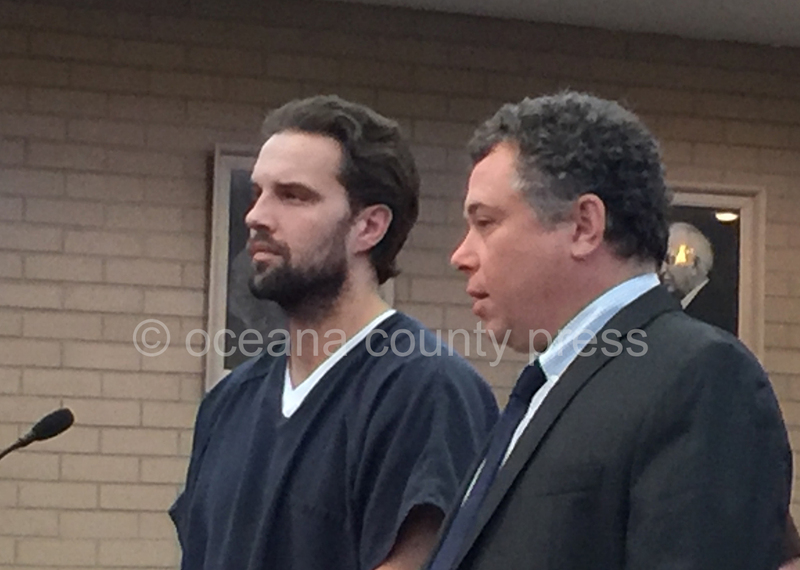 Joshua Freitas with defense attorney Eric Fox. HART – A 31-year-old Connecticut man was sentenced to six months in jail in 27th Circuit Court Monday, April 8, for a conviction of ecstasy/MDMA possession. The judge noted that Freitas has seven felony convictions and 14 misdemeanors involving crimes such as burglary, drugs, theft and forgery. He was recently arrested by the Oceana County Sheriff’s Office on felony charges of furnishing contraband to prisoners and prisoner possessing contraband. That case is pending. Sentencing guidelines in the case are five to 23 months. His sentence also includes a one-year driver’s license suspension with a restricted license after 60 days. He received credit for 57 days served in jail. The gigantic Electric Forest Festival takes place annually at the end of June at the Double JJ Resort in Rothbury where approximately 50,000 people from all over the US and other countries camp for several days to listen to music – mainly electronic dance music – and enjoy art and nature.